Special classes and private lessons are optional learning opportunities available to registered Solstice Flute School students. The cost to participate in a special class or private lesson are in addition to school registration; prices vary. Special classes are optional experiences that can be added to Solstice Flute School Core Classes. These unique experiences are limited to small groups and are fee based. Please review the School Schedule to ensure you do not sign up for overlapping classes. Register early! Flute music can be about more than just making music. It can serve as a platform for self-expression, release, personal connection, and helping to promote therapeutic outcomes. This ongoing course is open to flute players and musicians who have mastered the fundamentals of flute play, have a solid musical foundation, and are ready to dig deeper into serving others by designing and providing beneficial musical experiences. ​Topics include: Creating and shaping musical connections; using complementary instruments; using technology to enhance the experience; designing musical experiences for specific outcomes; understanding the needs of specific populations; working with caregivers and facility staff. Participants in this course will have access to exclusive online resources (audio and video) and there will be some pre-course resources made available. 1.5 hours per day, plus pre- and post-course work. 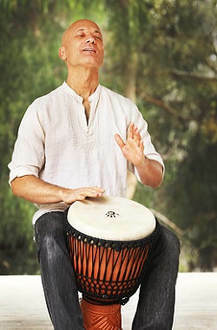 This course supports the certification process for becoming a Certified Therapeutic Musician. Past participants will gain new skills and have mentorship opportunities. Gilbert Levy and Suzanne Teng will work with you to create, prepare, arrange and record your own masterpiece! Start with an idea and leave with a fully produced and professionally recorded piece! Some people have recorded 2-3 pieces in the two-hour time frame if their pieces are prepared and have simpler accompaniment. Learn about mic technique, overdubs, song development and arrangement, and more. Gilbert will add his performance on drums/percussion/strings and synth pads. Suzanne and her array of flutes/winds will also be available to you to create supporting sounds for YOU, the soloist! Participate in the mixing process and witness the blossoming of your musical ideas into masterpieces! Basic fee two hour recording session, one-hour post production mixing session, all supporting musical performances by Gilbert and Suzanne, and shipping of final CD to you within a week following Flute School. For $75/hour extra, a more complex masterpiece can have multiple overdubs, fine-tuned mixing for commercial-ready release, tuning of pitches, additional accompaniment, all done in post-production after camp. Sign up for this option at camp after you discuss your masterpiece ideas with Suzanne. Listen to a sampler of student masterpieces. Create your own flute bag under the instruction of Fabian Fontenelle, a Zuni/Omaha Native American Indian. Fabian is a skilled craftsman and has been making handmade, beaded items for many years. Fabian will provide the soft buckskin, pony beads of various colors, leather tools, and acrylic paint pens for the students to design their own art designs on the bag. The bags themselves can range in length from 20” to 30” and width determined by flute size. If no options are selected before the 20th of May 2019, your blank will be a Mid G with apple wood mouthpiece and a Pueblo Totem. If fewer than 5 students register, class will be cancelled and fees refunded. Late registrants and people who do not specify wood will receive a flute blank that will make an Eastern Red Cedar flute with Cambia wood mouth piece and Pueblo Totem in the key of Mid G.
Limited private instruction time with Solstice Flute School instructors may also be available. We invite you to contact an instructor directly for more information. Private lessons are in addition to school registration. "Solstice Flute School exceeded all of my expectations. I had a wonderful time and learned so much. The teachers and students were all exceptionally supportive and lovely. It was an experience that affected me on so many levels. As I reflect on the week, I realize it's far more than a Flute School. I learned even more about ME than I learned about the FLUTE."